The last year or so has seen a rising number of coffee shops opening up in Chennai. A good majority of them International chains. While most of these international coffee shops were located in stand-alone locations, most mall goers had no options but to settle for either CCD or Barista. But one international brand did their homework correctly and saw the perfect opportunity of the mall going population and opened up their first outlet in a swanky mall. Known throughout the world for some of the best accompaniments served along with their Coffee & Tea, this was the need of the hour for most mall shoppers. 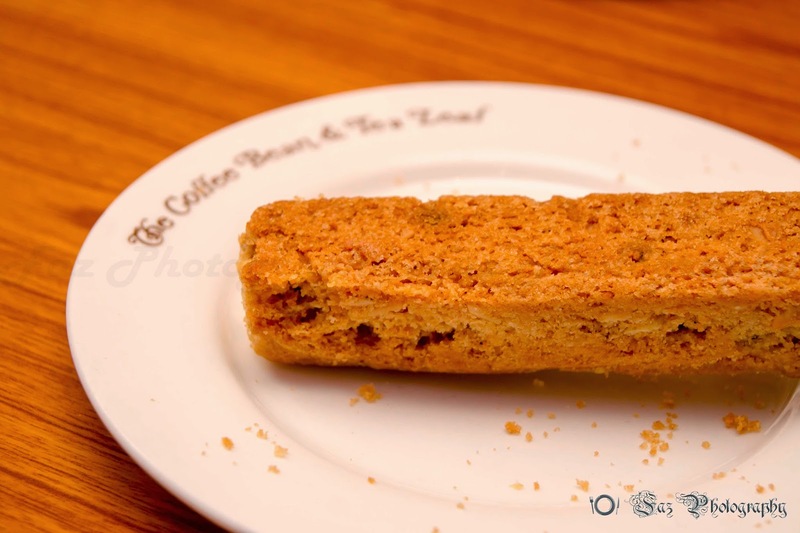 So when ‘The Coffee Bean & Tea Leaf’ opened up their outlet at Phoenix Mall, it proved to be a game changer for all those who frequented malls for shopping and were looking for a good place to relax along with some fine beverages. 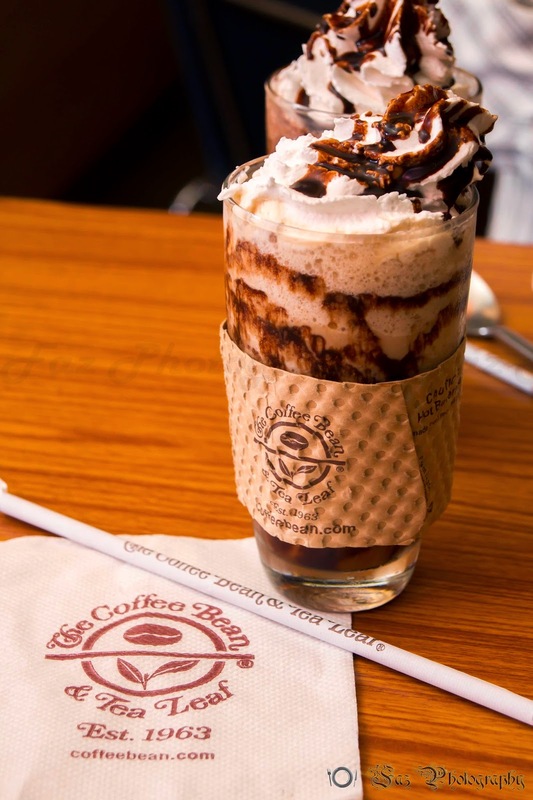 Unlike other places which serve different varieties of Coffee and a limited selection of Tea, ‘The Coffee Bean & Tea Leaf’ has numerous options in either category. Also part of their menu are sandwiches, short eats, breads, all-day breakfast menu and also good options of mains. With such a vast menu, it makes for the perfect ending to a shopping spree. Coming to the dishes that I savoured that evening, wanting something chill to beat the summer heat, I went in for their speciality ice coffee which is called as ‘Ice Blended’. Curious to know what was so special in them, I enquired with a member of their staff who informed me that the Ice Blended coffees have no Ice Cream whatsoever in them. Thoughts started to run in my mind as to how good it was going to be and still decided to take the plunge. Being accompanied with another friend, we ordered for the ‘Dark Chocolate Ice Blended’ & ‘Hazelnut Ice Blended’. Usually not a big fan of dark chocolate but was just a bit curious as it was their flavour of the month. When the coffees were brought to our table, they looked ravishing. Was very impressed with the way the glass had a paper handle to ensure it wasn’t too cold to hold similar to the ones that is usually served with hot drinks. First sip of the dark chocolate and I was stunned. Had I not been informed that there weren’t any ice cream in it, I would have mistook it for being loaded with the same. The coffee was very rich and had a perfect balance of the bitterness of the dark chocolate and the creaminess of the milk. The hazelnut variant was also top notch with the right amount of flavouring, again extremely voluminous. 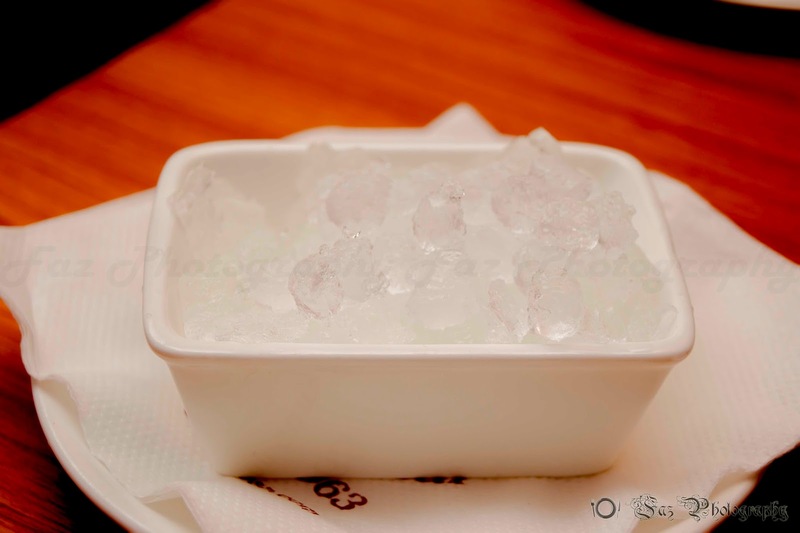 On further enquiry, I was told that they use a special type of Ice that is patented by ‘The Coffee Bean & Tea Leaf’ which enables them to produce this creamy texture. The manager was courteous enough to show me a sample of the ice that is being used. The texture was so soft and fluffy unlike the ice that we all know. To go along with the beverages, we had ordered for an ‘Oreo Mocha Cheesecake’, ‘Blueberry Muffin’ & an ‘Almond Biscotti’. Being a major dessert fan, I dived into the cheesecake while sipping onto my ice blended. The cheesecake amazed me as it was one of the best cheesecakes I’ve had in Chennai. Just like the popular saying, “First impression is the best impression”, the moment my cutlery sliced into the cake, and the result was out. The cake was perfect in texture, softness and the flavour above all. With the strong flavour of mocha complementing the cream cheese, it was part of heaven. I truly declare their cheesecake to be the best as of now in Chennai. 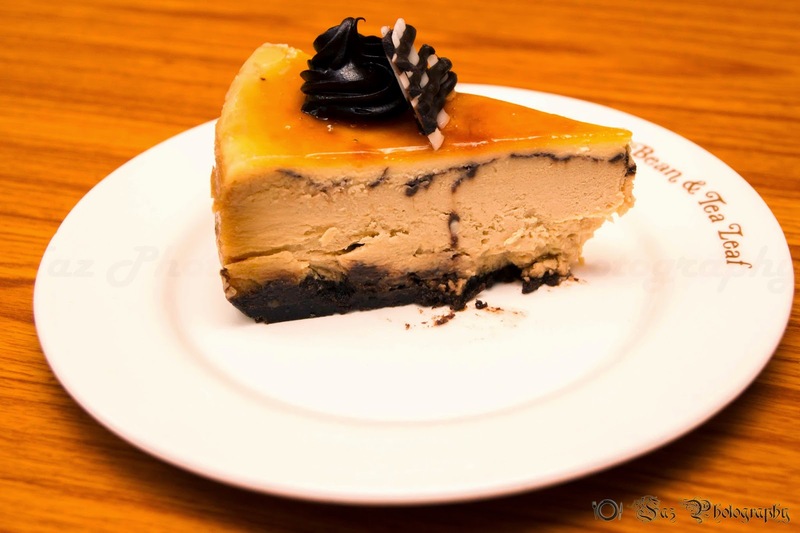 I’ve heard about another of their cheesecake which is be renowned worldwide to be the best in their menu and it’s called the ‘Philadelphia Cheese Cake’. Unfortunately it was out of shelf the day I visited and just can’t wait to try it soon. Coming to the ‘Almond Biscotti’, this again was a clear winner. The texture provided the rugged look a biscotti deserves but once you take a bite you will realize that it isn’t that hard as you had imagined from the looks. The ‘Blueberry Muffin’ was gigantic and brings to memories all the muffins that we see on international culinary shows. 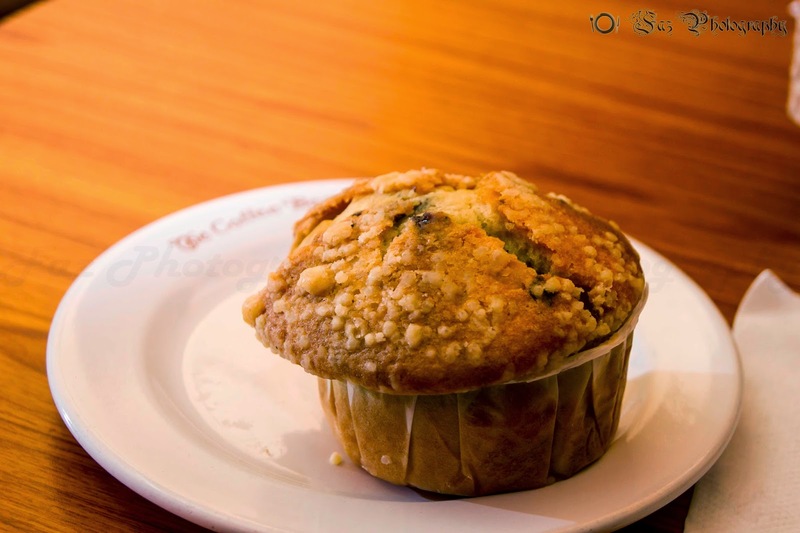 These kind of muffins are the perfect accompaniments for hot teas and as we had ordered iced coffees that evening, we felt that the muffin was slightly out of place. But coming to the muffin itself, the blueberry filling was generous and the muffin screamed blueberry with every mouthful. The accompaniments along with one beverage for each of us by itself were so filling that we realized that what started out as a casual visit to the coffee shop turned into a sort meal for the evening. The quality of the fare was outstanding and can’t wait to head back again to try the other dishes on the menu. While the Ice Blended coffee was priced around ₹ 180 each, the cheese cake was ₹ 175 and the biscotti & the muffin was priced about ₹ 80 each. 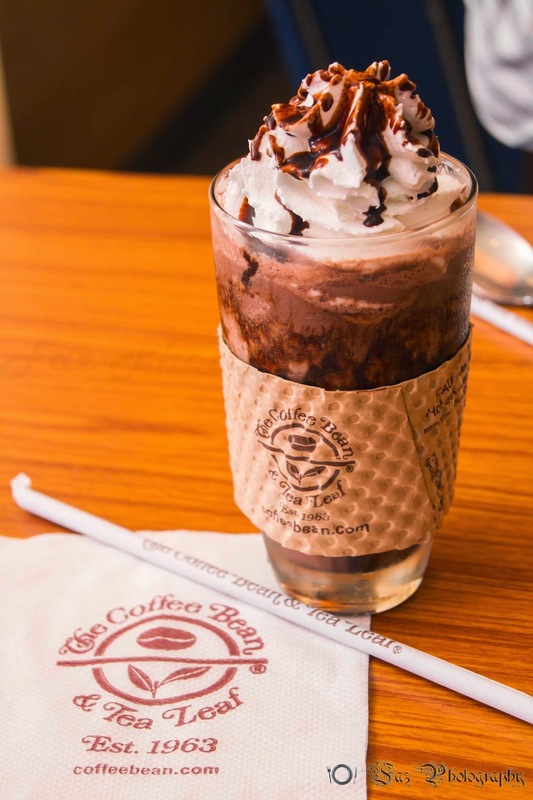 ‘The Coffee Bean & Tea Leaf’ is located at the First Floor of the Phoenix Market City in Velachery and will cost about ₹ 350 per person for a fulfilling beverage and a sumptuous accompaniment. P.S: Unfortunately my email subscription list had some bug because of which the updates were not getting delivered. It has now been resolved, request you to kindly click Subscribe by email on the right hand side at the top of this page to re-subscribe to keep yourself updated on new reviews. very nice post with such yummy dishes. Wish i could have them.